We know that oil changes can seem like a hassle, but they will save you a lot of trouble in the long run. Motor oil is a critical part of the engine’s ability to continue and work for you, essentially, it does all of the dirty work under the hood. Changing your vehicle’s oil routinely is one of the simplest and cheapest ways to keep your engine running smooth. Oil cleans your engine and reduces friction. Therefore, oil makes sure your engine doesn’t have any large build up of dust or dirt, which would prevent your car from running properly. It also makes sure that all of the engine’s parts aren’t rubbing together and causing any preventable damage. Therefore, your engine will last longer without the need for a major engine repair. Why does changing my car’s oil matter? Oil changes help to protect your car’s engine and to keep your car running better, longer. If you don’t change your car’s oil regularly, the engine performance will start to experience diminishing returns and begin to affect your fuel efficiency. 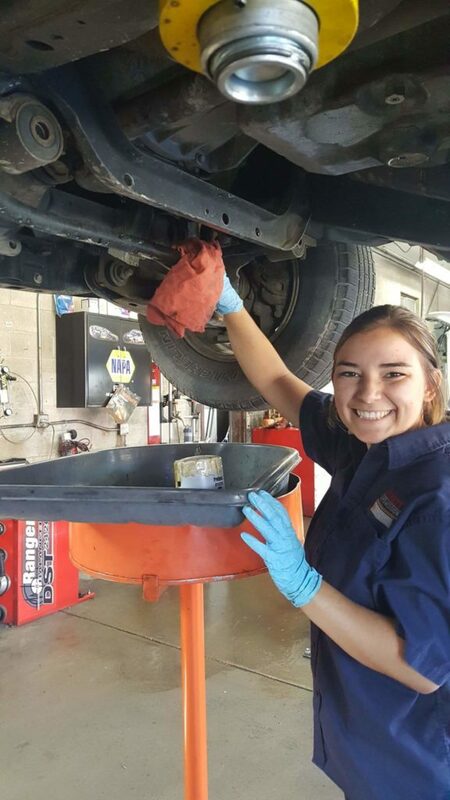 Since oil also cleans your engine, substances like dirt, sludge, water, and debris can build up in your engine if you don’t have your oil changed out. Your car’s oil also reduces heat so nothing in your engine overheats. It minimizes engine parts’ friction to prevent as much wear and tear on your car as possible. All in all, a routine, simple oil can go a long way with your vehicle. Happy car, happy life. Do driving conditions affect when oil should be changed? It’s not just the amount of miles on your car that affects when the oil should be changed, but the driving conditions as well. There are several driving conditions to remain aware of that will cause you to need oil changes more often than normal. For example, any driving in extreme temperatures, either below 10 degrees or above 90 degrees. Consistently driving short distances, such as less than 5 miles, and stop-and-go traffic will wear on your car quicker than normal, as well. There are a lot of things that go into determining when your car’s oil should be changed, such as make, model, and miles. On average, it is recommended to get your oil changed between every 5,000 and 7,000 miles. Don’t wait for more than 10,000 miles to get your oil changed it you want your car to last longer.